Trade Tensions Felt Across the U.S.
An article in the Indianapolis Business Journal recently spotlighted a young hog producer in Hendricks County, Indiana, and how the issues of trade are impacting his business. He's referring to the China trade tariff on U.S. pork. 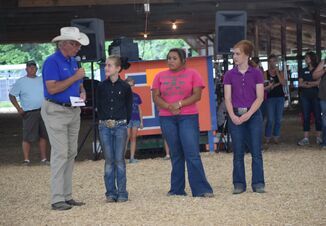 He knows how important trade is to the overall profitability of pig farmers across the country. It’s especially critical in agricultural states. China wasn’t likely to import as much U.S. pork in 2018 as it had the previous year, because it presently has a glut of domestic pork. But trade wars send a bad message to trading partners, making them think the U.S. is unreliable. It’s one of the reasons Mexico and Japan, for example, are putting together bilateral agreements with the European Community. Indiana is the nation’s top steel-producing state as well as being the most dependent on manufacturing, which relies on steel, the Indianapolis Business Journal article said. Hardin noted that he has seen the cost of inputs like steel grain bins, gating and other steel-related items increase, which forced him to delay some purchases. 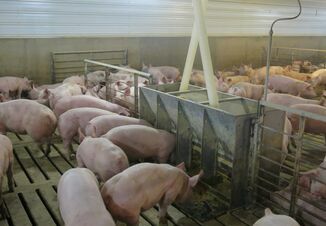 Hardin said the operation he co-owns with his father is “a very small drop in a very large bucket,” producing about 12,000 market hogs per year. Located near Danville, Hardin Farms has been operating for three generations. 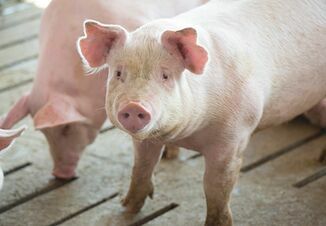 Although on farming website Hardin said he enjoys the challenges and opportunities associated with farming, neither he nor other pig farmers need the added challenge of wondering if export markets will stay open to their products.